As with other Smart TVs on the market today, the Philips range of Smart TVs are capable of streaming content from various online services, including Netflix. This has a number of advantages over using Netflix on other devices, including granting customers the ability to watch content on their television, in HD quality. The content available on Netflix varies from region to region, meaning that some films and television shows are only available in other countries. Unfortunately, Netflix does not allow manual region switching, and a customer’s region is detected automatically through their internet connection settings. 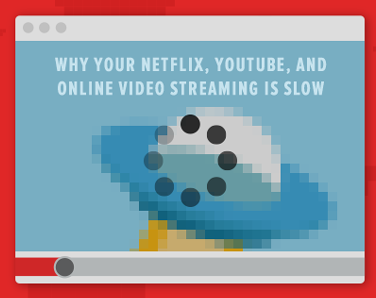 To circumvent this, two main methods exist, allowing users to unblock Netflix and significantly increase the range of content available to them. Perhaps the best and easiest option available to Philips Smart TV owners is Smart DNS, which works by re-routing DNS queries through a proxy server. The result of this is that Netflix detects the user’s location as being the location of the proxy server, giving access to other regions. Smart DNS only works with supported services and websites, ensuring other browsing is unaffected. It is, therefore, essential to find a Smart DNS service which supports Netflix. Benefits of Smart DNS include its ease of use, its simple setup process and its excellent internet speeds, which make it perfect for streaming video content. Some of the best Smart DNS services available for the Philips Smart TV and offering Netflix support include OverPlay, SmartDNSProxy and Unlocator. On the TV remote, press the ‘Menu’ button. On the ‘Manual Network Settings’ screen, choose ‘IP Configuration’, then ‘IP Setting Mode’. Select ‘Manual’ and then enter the new DNS settings provided. From the ‘Network’ menu, choose the ‘Connection Test’. Upon restart, Netflix should load with the content available in the region you have selected. With some services, like Unblock-Us, the region can be switched easily from within your main Smart DNS account. On SmartDNSService.net you can get reviews of SmartDNS Services for Philips TVs. Another option for Philips Smart TV customers is a Virtual Private Network. VPNs work in a similar way to Smart DNS services, except all data is encrypted and piped through a server, while customers are given a new IP address. Advantages of VPNs include increased security and privacy, as well as a means of getting around ISP level DNS hijacking techniques. However, VPN is generally slower than Smart DNS. At the present time, Philips Smart TVs are not capable of allowing direct installation of a VPN product onto the device itself, meaning that the setup process can be slightly more complicated than with Smart DNS. Nevertheless, there are ways in which a VPN service can be utilised with the television, in order to unblock Netflix. As VPN client software cannot be installed directly onto the TV, users have two main options. The first is to connect the TV to a computer running the VPN service and then share the internet connection between the devices. This method allows for a relatively easy setup, but can result in a slow connection, which is not ideal for streaming. Alternatively, users can connect the Smart TV to a flashed router. Flashing a router is somewhat complicated and is not recommended for those without the required technical knowledge, but pre-configured routers can be purchased, making the process easier. This option results in a quicker connection. Step-by-step setup guides for using a VPN on either a computer or a router will be available on the websites of individual providers. The exact setup process may differ significantly from one service to another. Examples of VPNs which offer decent support for Philips Smart TVs include CactusVPN, ExpressVPN and VyprVPN.